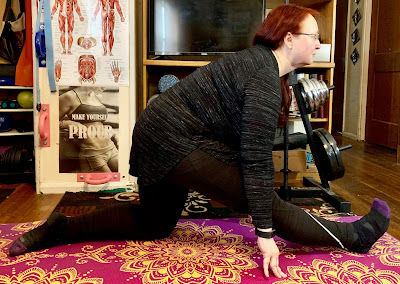 One Day More Fitness Blog: The Past Week of the March Yoga Challenge Photos! This was a great week for yoga poses. 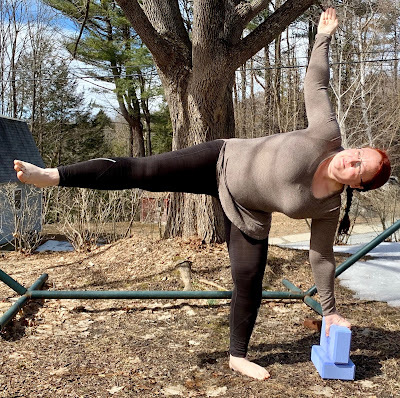 There were several poses I hadn't done in a while (knees to chest, half moon and half monkey) and I finally got to do my first outdoor pose of 2019! 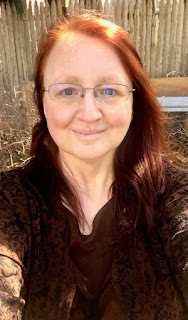 Looking forward to the last week of the March challenge! Day Eighteen March Yoga Challenge - Pigeon pose (Kapotasana). This pose is an amazing stretch and hip opener. 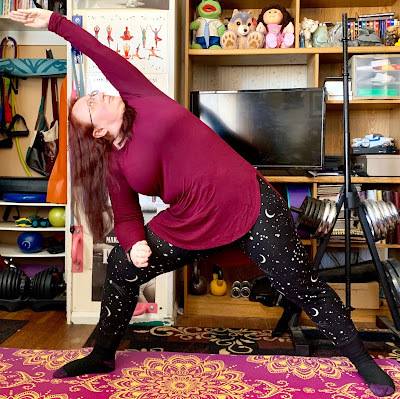 When I first started practicing it years ago, my upper body had to be raised but at this point I can flatten myself to the floor although I am still working on getting my folded leg into the correct bent angle. Day Nineteen March Yoga Challenge - Extended Side Angle pose (Utthita Parsvakonasana). 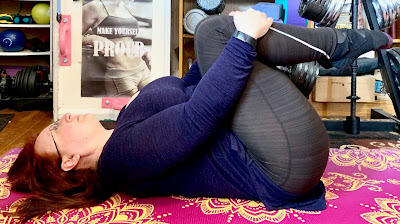 Day Twenty March Yoga Challenge - Revolved Chair pose (Parivrtta Utkatasana). I’ll be honest here and admit that this is a disliked pose. I don’t feel comfortable in it and I’m constantly feeling like I’m doing something wrong with it. Day Twenty-One March Yoga Challenge - Knees to Chest pose (Apanasana). This pose feels good and helps me stretch my back. Of course my knees don't quite reach my chest but I'm working on it. Day Twenty-Two March Yoga Challenge - Monkey pose but I did the Half Monkey Pose because I can’t do the full one yet (Ardha Hanumanasana). 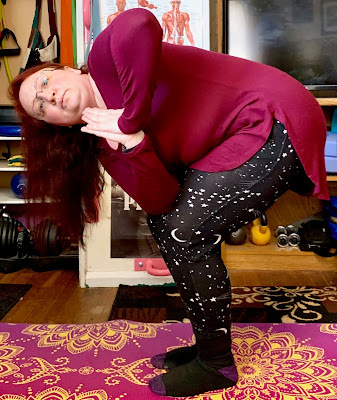 Day Twenty-Three March Yoga Challenge - Eagle pose (Garudasana). I love this pose but I’m still working on getting my bent leg around my standing leg more. Also my fingers are doing a weird split thing here and I’m not sure why. Day Twenty-Four March Yoga Challenge - Half Moon pose (Ardha Chandrasana). This is the first outdoor pose of 2019... yes, I was sinking into the mud, yes, I had to walk on snow and yes, it was worth it! Also, I love this pose because it offers a great balance challenge and I’m still working on being able to do it without using yoga blocks.